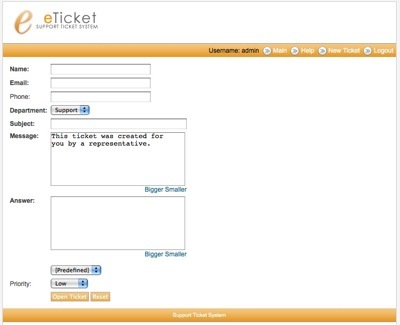 eTicket is a free web based support ticketing system which allow you to receive trouble ticket via email or a web form. 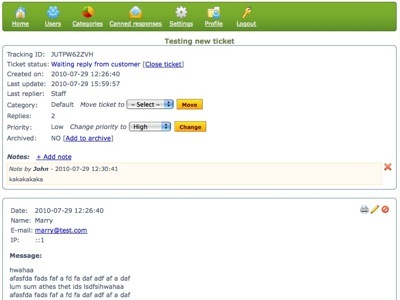 This free web based support ticketing system has a fairly simple user interface and navigation is simple. 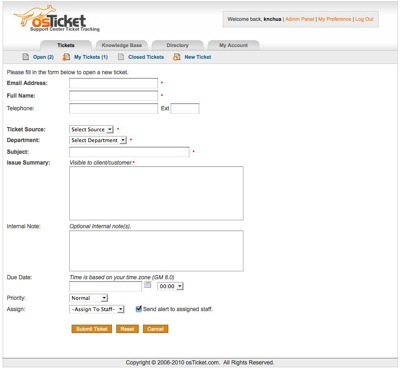 eTicket is written in PHP and using MySQL database. It’s features include email to ticket, email alert on new ticket creation and ticket update, canned response, assign ticket to staff, ticket category and more! You are currently browsing the Free Helpdesk Softwares weblog archives for August, 2010.